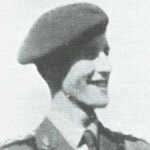 Raymond Thomas Casamajor Addington, the third son of the 6th Viscount Sidmouth, joined No 5 Commando as a 2/Lieutenant upon their formation in July 1940  . He was promoted Lieutenant on the 1st January 1941 . Lieutenant Addington took part with No 5 Commando in Operation Ironclad at Madagascar . Captain John Alderson MC, OC 6 troop, died during the fighting at Leese, Germany. He had rejoined No.3 Commando after being wounded in the knee at Amfreville during the Normandy landings. He was awarded the Military Cross "In recognition of gallant and distinguished services in Normandy." Lieutenant Athole Jack Allen was awarded the MC for "gallant and distinguished service in North West Europe." Captain Michael Allen , Adjutant of No. 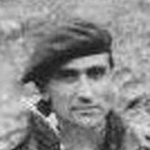 9 Commando, was awarded the M.C. in recognition of gallant and distinguished service during operations at Monte Faito, Italy, on 2/3 February 1944 . Received a MiD in recognition of gallant and distinguished services in the Mediterranean Theatre, rank Major (temp). . Appointed Honorary Lieutenant Colonel . Captain David Angus was awarded the MC for gallantry, zeal and skill during the attack on Sarande and the seizure of the Island of Solta. The death of Captain Angus MC of St. Ninian, Stirling, was announced in Commando Association newsletter 98 issued March 1994. London Gazettes Supp.37013, page 1791. Lieutenant Jack Anrude was awarded the MC for gallant and distinguished services in Afghanistan in 2010 . 1st October 2015 promoted Major . 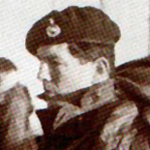 Captain Peter Babbington was awarded the MC for his actions during operations on the Falkland Islands . Corporal John Ballance was awarded the M.C. in recognition of gallant and distinguished service in Afghanistan during the period 1st October 2008 to 31st March 2009. 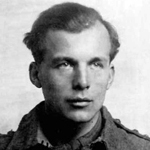 Bernard James Barton was commissioned Second Lieutenant in The Buffs on the 22nd June 1940 (1). 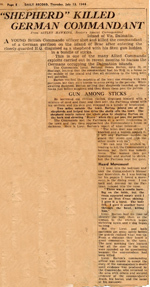 Corporal Richard Bateman was awarded the M.C. in recognition of gallant and distinguished service in Afghanistan during the period 1st October 2008 to 31st March 2009. 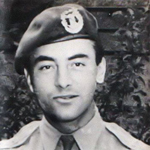 Temporary Lieutenant Jeffrey Charles Beadle was awarded the MC for gallantry, leadership and outstanding determination whilst serving in Commando operations in the Adriatic, June, 1944, and North West Europe, April, 1945. 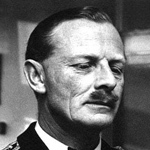 Captain (Local Major) Jeffrey Charles Beadle, MC, was appointed MBE (Military Division) in the 1967 New Year's Honours. MM - London Gazettes Supp. 37387, page 6085. National Archives file WO 373/57/513. Marine Matthew Bispham was awarded the Military Cross in recognition of gallant and distinguished service in Afghanistan. 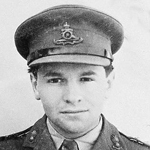 Captain Graeme Black DSO, MC, was executed whilst a Prisoner of War. He was one of the seven Commandos of No. 2 Commando who were captured after Operation Musketoon, and later executed under Hitler's Commando Execution Order, at Sachsenhausen Concentration Camp, Berlin, 1942. He was awarded the MC in recognition of gallant and distinguished services in successful combined operations, against the enemy at Vaagso and Maaloy. He was awarded the DSO in recognition of gallant and distinguished services in the field. Captain David Blair was the O.C. No. 11 Commando 6 troop. Appointed M.B.E. (Military Division) 7th April 1944 . Captain John Blake MC was killed  during operations against the enemy held island of Brac. He had earlier been awarded the MC  for leadership, gallantry and devotion to duty while serving with Royal Marine Commandos in the capture of Mt. Ornito, Italy on the 3 Feb. 1944 . 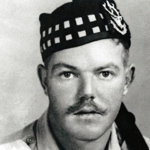 Captain John Bradley was awarded the MC for gallant and distinguished services in operations leading to the capture of Termoli. London Gazettes Supp. 36367, page 687. National Archives file WO 373/47/146. Lieutenant (Acting Captain) Hubert Bray was awarded the M.C. in May 1940 for gallant and distinguished services whilst commanding the Carrier Platoon of the 2nd Dorsets involved in the defence of Festubert, France . Colour Sergeant Brian Bridger was awarded the MC for gallant and distinguished services in Afghanistan in 2010. Colour Sergeant Stuart Brown was awarded the Military Cross in recognition of gallant and distinguished service in Afghanistan. London Gazette Supp. 57070, page 12068 published 30 September 2003. 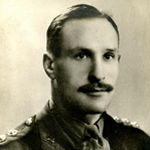 Lieutenant Gerald Jackson Bryan, RE, was awarded the Military Cross  for his gallantry during Operation Exporter, the battle of Litani River [view]. He was seriously wounded and lost a leg during this action . Marine Craig Buchanan was awarded the M.C. in recognition of gallant and distinguished services in Afghanistan during the period 1 October 2012 to 31 March 2013. London Gazette Supp. 60647, page 19570. Captain Michael Burn, 6 troop, was awarded the MC for gallant and distinguished service during the raid at St Nazaire. He was i/c of the commando contingent on board ML 192 and was taken prisoner after the raid. Acting Lance Corporal Stephen Burns was awarded the Military Cross in recognition of gallant and distinguished services in Afghanistan in 2008. 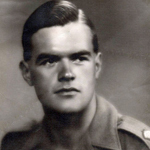 Captain Hutchison Burt, 'E' Troop, was awarded the Military Cross in recognition of gallant and distinguished service during operations in Normandy . 23 April 1942 commissioned 2/Lt. from the rank of Warrant Officer Class 11 (S. Gds) . London Gazette Supp. 36679, page 4045. Lieutenant Charles Buswell was commisioned into the Royal Artillery on 13 March 1942 . After volunteering, he joined No. 3 Commando and took part in the invasion of Sicily on the 9th July 1943. Major Brian Butler MC died  at Chateau d'Amfreville during severe mortaring of their HQ. Five others also died. Lt T.N. Skelly and three others were wounded . He had previously been awarded the Military Cross  whilst a Troop Captain for gallant and distinguished services on the 4th October 1943 at Termoli, Italy . No 3 Commando War Diary dated 11th June 1944. 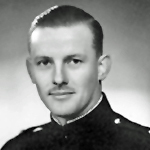 Marine Richard Bywater was awarded the M.C. for gallant and distinguished services whilst on operations in Iraq In 2003. London Gazette Supp. 57588, page 3378. 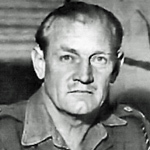 Leslie Stuart Callf was appointed Lieutenant on the 4th July 1940 . Soon after he volunteered for the Commandos and was subsequently attached to No. 9 Commando. Major Charles Cameron, the Commanding Officer of 3 Commando Brigade Air Squadron, was awarded the MC for his actions during operations on the Falkland Islands. Captain Ralph Cameron was awarded the Military Cross  in recognition of gallant and distinguished service whilst in charge of 2 troops whose task was to destroy an enemy post near a demolished bridge West of the River Garigliano, Italy, on the night of 29/20 December 1943 . 4 July 1947 awarded the Territorial Efficiency Medal (rank shown as Captain (Honorary Major) (Q.O.C.H.) and later the Territorial Decoration . Major Richard Cantrill was awarded the M.C. in recognition of gallant and distinguished service in Afghanistan during the period 1st October 2008 to 31st March 2009 . Captain Alistair Carns was awarded the M.C., in recognition of gallant and distinguished services in Afghanistan during the period 1st October 2010 to 31st March 2011. Captain (E.L.K.A.) Knyvet Carr, Heavy Weapons Troop, was awarded the M.C. in recognition of gallant and distinguished service during operations at Flushing on the 1st November 1944 . He remained in service with the Royal Artillery post war retiring with the rank of Lieutenant Colonel on 20 July 1974 . The death of "Capt. (later Lt. Col.) E.L.K.A. (Knyvet) Carr MC of Sheet, Hants. ", was announced in Commando Association newsletter 111 issued September 2000. 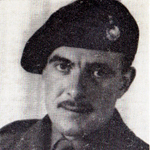 Captain Richard Carr, 1 troop, was attached to the Commandos from the Royal Artillery. He was taken prisoner of war early in 1942 and, despite several escape attempts, remained in captivity for the remainder of the war. Lieutenant Robert Carter received a Mention in Despatches announced on 27 April 1951 for distinguished service in operations in Malaya . He was also awarded the M.C. for gallant and distinguished services during operations at Tapah, Malaya, between 1 January and 30 June 1951 . Lt. Colonel Carter M.C. was appointed O.B.E. on the 1st January 1966 . On the 22nd October 1939 whilst in the Artists Rifles TA, the then Private (Cadet) Chant was granted an emergency commission as 2/Lieutenant having attended the 163rd Officer Cadet Training Unit . In October 1940 he volunteered for the Army Commandos and was attached to No.5 Commando . Commissioned as 2/Lieut. with the Royal Signals on the 29th November 1944 Thomas John Christie was awarded the MC for gallant and distinguished services in NW Europe. 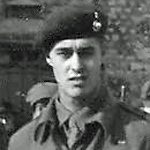 Lieutenant Thomas Christie, Lines Officer 1st Commando Brigade Signal Troop, was awarded the M.C. in recognition of gallant and distinguished service during operations in NW Europe, specifically whilst laying out a communications line over a demolished railway bridge across the River Rhine at Wesel . Commissioned at OCTU from the ranks 20 December 1944 . London Gazette Supp. 37302, page 4999. 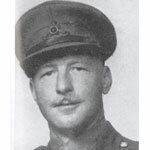 After a brief spell as 2i/c No 5 Commando, the then Major John Malcolm Thorpe Fleming Churchill (later affectionately known by some as Mad Jack) moved to 2i/c No 3 Commando. Shortly after Lt Col Newman [more...] was taken prisoner at St Nazaire in 1942, Major Churchill was promoted Lt Col. to replace him as OC No 2 Commando. Lt Col Churchill remained OC until he was also taken prisoner during Operation Flounced [more...] in 1944. Marine Eroni Cinavilakeba was awarded the M.C., in recognition of gallant and distinguished services in Afghanistan during the period 1st October 2007 to 31st March 2008. 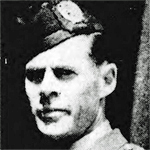 Lieutenant John Clapton was awarded the M.C. in recognition of gallant and distinguished service on 28 January 1945 whilst leading a small Recce patrol at a wood near Linne . London Gazette Supp. 37027, page 1942. Marine Daniel Claricoates was awarded the Military Cross in recognition of gallant and distinguished service in Afghanistan. Lieutenant Peter Collins MC, 'A' troop, died during operations against the German held island of Schouwen, Holland. He had been awarded the MC for gallant and distinguished services in the field. 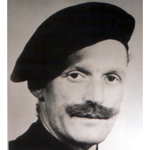 Sergeant Noel Connolly was awarded the M.C. in recognition of gallant and distinguished service in Afghanistan during the period 1st October 2008 to 31st March 2009. Marine Matthew Cottrell was awarded the Military Cross in recognition of gallant and distinguished service in the field during the period 1 October 2016 to 31 March 2017. London Gazette 62052, page 17278. Temporary Major Leonard Coulson was awarded the M.C. in recognition of gallant and distinguished service during operations at Normandy on 6 June 1944 and the days following it . On the 21st September 1954 he was promoted Major in the Royal Pioneer Corps . London Gazette Supp. 37442, page 639. London Gazette Supp. 40305, page 5958. Corporal Michael Cowe was awarded the Military Cross in recognition of gallant and distinguished service in Afghanistan. Sergeant Mark Cox was awarded the Military Cross in recognition of gallant and distinguished service serving with the United Kingdom component of the International Force for East Timor during the period 1st October 1999 to 31st March 2000 . Operations concerned were Op. Langar/ Op. Halyard, East Timor . London Gazette Supp. 56017, page 12363. Globe and Laurel Nov-Dec. 2000. Marine Ian Danby was awarded the Military Cross in recognition of gallant and distinguished service in Afghanistan. Captain Maxwell Darwell was awarded the M.C., for gallant and distinguished services in Malaya during the period 1st July to 31st December, 1951. Captain Michael Davies, Adjutant of No. 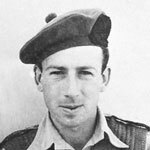 9 Commando, was awarded the Military Cross  for his outstanding leadership and personal gallantry during the fierce fighting that took place in the Wadis at the Anzio beachhead on the 19th March 1944 . Captain Stanley Day, adjutant of No 2 Commando, was awarded the MC in recognition of gallant and distinguished services during the raid on St. Nazaire. 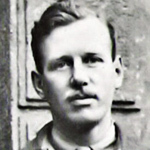 He was one of Lt. Col. Newman's HQ party on board MGB 314 and was taken prisoner after the raid. 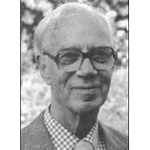 Captain Peter Delap, M.B. (R.A.M.C. ), attached to 40RM Commando , was awarded the MC in recognition of gallant and distinguished services in the field . London Gazettes Supp. 36983, page 1427 published 15March 1945. 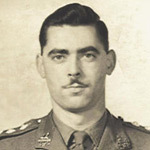 Captain John Dexter was awarded the MC for gallant and distinguished services in North West Europe. Corporal Christopher Downey was awarded the Military Cross in recognition of gallant and distinguished services in Afghanistan. London Gazette Supp. 60283, page 18624 published 28 September 2012. 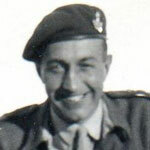 Lieutenant George Duncan served in No 11 Commando. We have a possible photo of him in our gallery which we would like verified by family in due course. His gallantry medals were awarded after leaving the Commando and whilst he was further attached to the Special Boat Section *. Captain Edwin Dunn was awarded the MC for gallantry, leadership and undaunted devotion to duty during the assault on the Island of Walcheren. 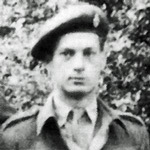 Lieutenant Clive Dytor was awarded the MC for his actions during operations on the Falkland Islands. 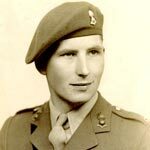 Captain Norman Easton, CMWTC, 1 Commando Bde. HQ, and 46RM Commando 'X' Troop , was awarded the M.C. in recognition of gallant and distinguished service . He was an instructor at the CMWTC and, along with others, had been attached to 46RM Commando for operations on 'D' Day. Whilst most returned shortly after, Capt. Easton remained with them as a Troop Commander until 'D+50' when ordered to return. He later rejoined them for operations in Holland [CMWTC History]. Captain Edward Ecrepont was awarded the M.C. for leadership, gallantry and devotion to duty on the 22nd January 1944 when, after the crossing of the River Gargliano, Italy, he led two troops in seizing and successfully holding the essential feature to the North of Mount Castellucio . London Gazettes Supp. 36583, page 3040. National Archives file WO 373/47/159. Lieut. 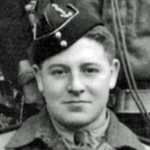 Bill Etches served with No.3 Commando during the Lofoten and Vaagso raids in Norway 1941, and on the St Nazaire raid in France, 1942. During Operation Chariot at St Nazaire Lieut. Lieut. Etches was assistant to Capt. Montgomery, RE, supervising demolition parties in the dry dock area. 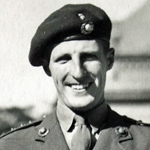 Captain Humphrey Evans, Royal Artillery Forward Observation Officer attached to 45RM Commando, was awarded the M.C. in recognition of gallant and distinguished services during the River Rhine crossing on the 23/24 March 1945 . London Gazettes Supp. 37172, page 3591. National Archives file WO 373/ 54/714. Marine Daniel Fisher was awarded the Military Cross in recognition of gallant and distinguished service in Afghanistan. 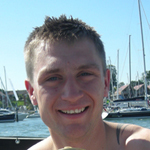 Sergeant Daniel Fisher was awarded the Military Cross for gallant and distinguished services in Afghanistan In 2007. Captain Richard Flower was awarded the MC for gallantry, leadership and undaunted devotion to duty during the assault on the Island of Walcheren. Captain Daniel Flunder was awarded the MC for gallantry, leadership and undaunted devotion to duty during the assault on the Island of Walcheren . He became the Adjutant and Commander of 'A' Troop of 48 RM Commando . The death of Major Daniel John Flunder OBE, MC, VRD (48 RM Cdo) of Helston, Cornwall, was announced in Commando Association newsletter 102 issued March 1996. 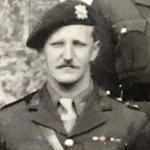 Lieutenant Colonel Francis West Fynn became the Commanding Officer of No 2 Commando from June 1944 after Lt Col Churchill was taken prisoner of war. A former Lance Sergeant in the Royal Artillery T.A., he was appointed Second Lieutenant on the 23rd December 1939 . 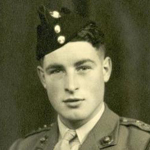 On the 11th July 1942 the then Lieutenant Fynn was posted from the RA to the Gordon Highlanders . Second Lieutenant Alastair Gavin was awarded the M.C., for outstanding courage and leadership in operations in Malaya on the 5th March 1951. 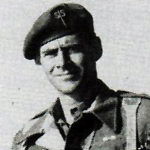 Captain John Gibbon was attached to 46RM Commando 'B' troop . He was awarded the MC for "gallant and distinguished services in North West Europe." 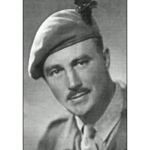 Acting Captain Basil Gourlay was awarded the Military Cross whilst serving with 43RM Commando in WW2. Post war he served in 45 Commando Royal Marines 1945-1948, Brigade Major 3 Commando Bde Royal Marines 1955-1957; OC 42 Commando Royal Marines 1963-1965, ultimately being appointed Commandant General Royal Marines from 1971-75 after which he retired. M.C. (A/Captain 43RM Commando) for gallantry, zeal and skill during the attack on Sarande and the seizure of the Island of Solta. [1 +2]. 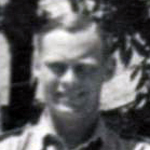 Captain Richard Grant, OC 'A' troop, was awarded the M.C. 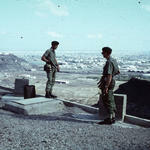 , for distinguished services in operations against terrorists in Cyprus during the period Sept. 1955 and August 1956 . He had earlier received a MID for gallant and distinguished services in Palestine during the period 27th March, 1948 and 30th July, 1948 . London Gazettes Supp. 40987, page 653. National Archives file WO 373/126/14. Post WW2 and now with the rank of Colonel, Thomas Malcolm Gray DSO, MC, died whilst serving at HMS President. In World War Two he was Commanding Officer of 41RM Commando on D Day and later Commanding Officer of 46RM Commando during the River Rhine crossing. He was awarded the MC whilst Captain (Acting Lieutenant-Colonel) of 41RM Commando. Lieutenant Patrick Griffiths was awarded the M.C., for distinguished service in operations in Malaya during the period 1st August to 15th November, 1950. National Archives file WO 373/129/123. In 1945 he served at the CBTC. He is shown in a photo entitled "Commando Basic Training Centre - Officers Mess - 1945." (CVA Gallery). Commanding Officer of No. 12 Commando. A veteran of World War One and recipient of the Military Cross, announced in July 1918, and later a bar to the Military Cross in August 1919. London Gazette Supp. 30780, p7909 and Supp. 31745, p924. List The Bugle , author Maj. Gen. Corran Purdon CBE, MC, CPM. Commando Association obituaries newsletter 70 issued March 1980. Acting Captain Charles Head was awarded the M.C. in recognition of gallant and distinguished service on the night of 13/14 July 1943, after landing at Agnone and during the advance to Punta Dei Malati, Sicily . 11 October 1945 Captain Charles Head relinquished his commission on the grounds of disability and was granted the honorary rank of Major . London Gazette Supp. 36217, page 4661. Lieutenant John Heron, serving with 2 Dorsets as part of the British Expeditionary Force, was awarded the M.C., for his leadership and gallantry on the 27th May 1940 . Corporal Alan Hewitt was awarded the Military Cross in recognition of gallant and distinguished service in Afghanistan. 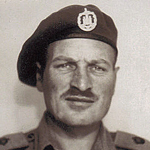 Captain Bryan Hilton-Jones, No.10 (Inter Allied) Commando, was the commander of 3 troop, also known as 'X' Troop. He was awarded the Military Cross  in recognition of gallant and distinguished service during a series of covert operations codenamed Tarbrush along the North coast of France in the middle of May 1944 gathering vital intelligence in preparation for D Day .